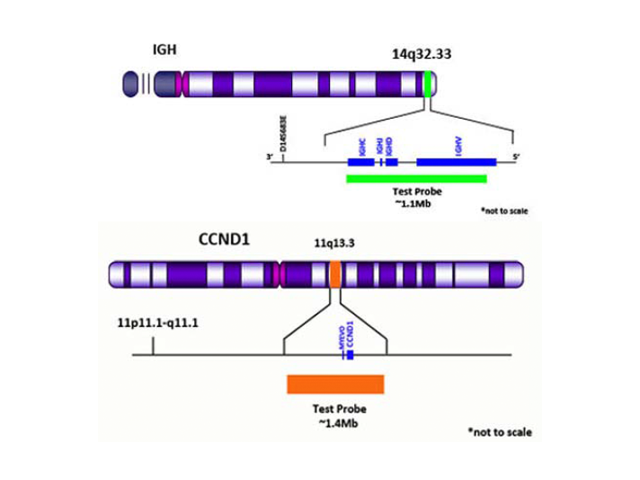 The BCL2 break apart probe is designed to detect chromosomal rearrangements involving the BCL2 gene on chromosome 18. 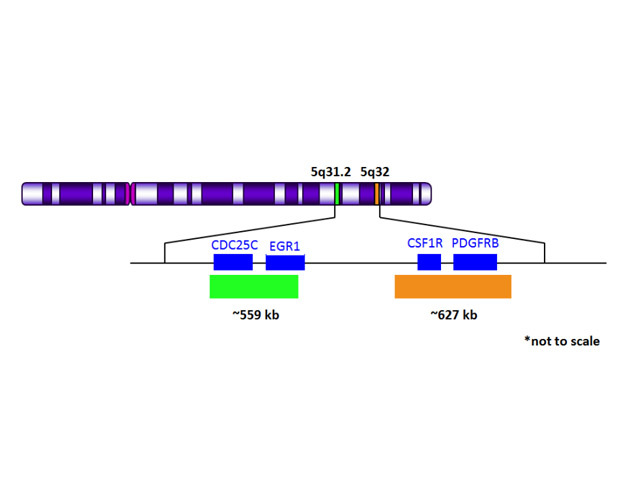 The BCL2 gene is a proto-oncogene that encodes an anti-apoptotic signaling protein1. 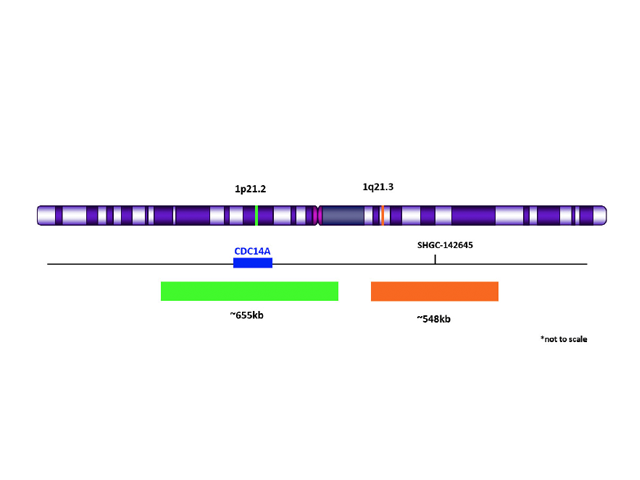 The BCL2 gene rearrangement is considered one of the hallmark cytogenetic abnormalities associated with B-Cell lymphomas 1. 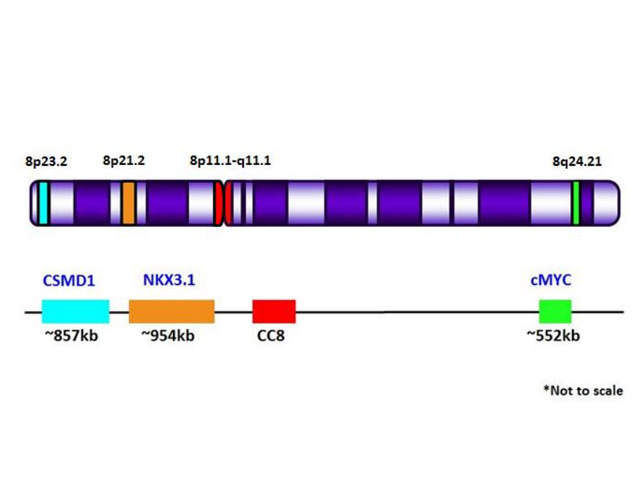 Follicular lymphoma, a B-Cell lymphoma subtype, is strongly characterized by gene rearrangements involving the BCL2 gene and the immunoglobulin heavy-chain (IGH) gene2. 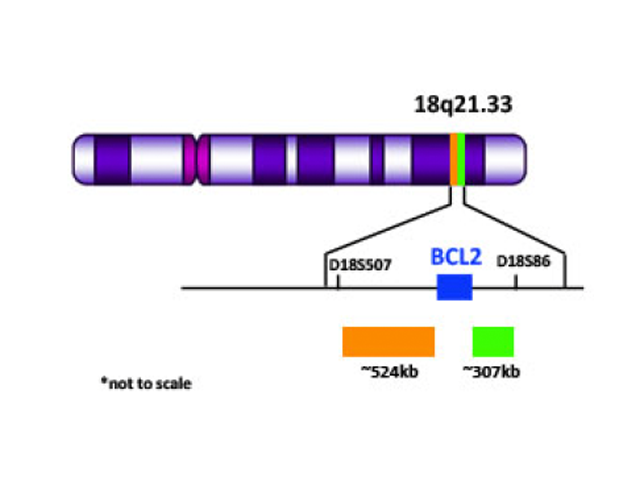 This genetic rearrangement results in the constitutive activation of the BCL2 gene and is considered one of the gene abnormalities that drives Follicular lymphoma pathogenesis3. Conventional cytogenetic techniques such as fluorescent in situ hybridization (FISH) can be utilized to detect gene arrangements involving the BCL2 gene.